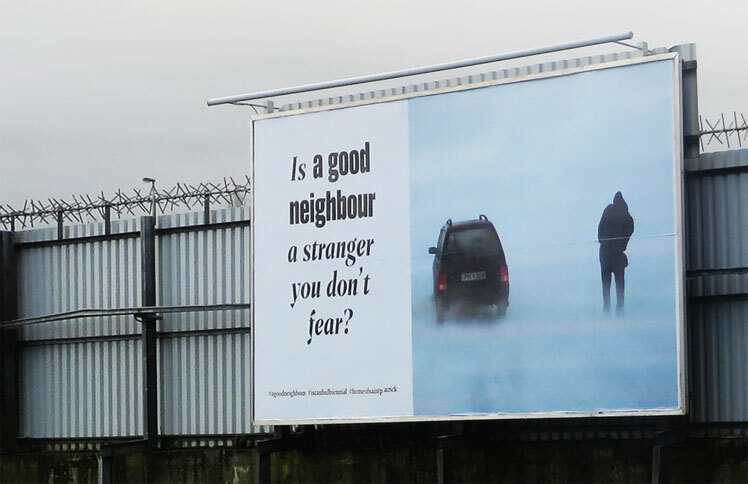 “What is a Good Neighbour ?” a legitimate question to which participants to the 15th Istanbul Biennial will attempt to answer. The theme has been selected by artists duo Elmgreen & Dragset, curators of the event. Amongst the most important artists invited to take part are Monica Bovincini, Mark Dion, Adel Abdessemed, Tatiana Trouvé and the international aspect is also truly extended via partnerships with cities across the globe : Sydney, Moscow, Chicago, Milan are also hosting a “Billboard project”, an artistic-advertising link to the Istanbul Biennal. On site, in Istanbul itself, the public will be invited to take part in community events : workshops, symposiums, cooking sessions which will assist to enhance the community feeling. So many ways to feel surrounded by “good neighbours” indeed. “We believe the strength of this project is that it poses [the] same questions in different cultural contexts and reminds us how we share a common fate beyond our own borders (…) Society is changing, economy’s are changing, behaviours are changing and we all try to understand the new world order and adapt ourselves to the future. It is beautiful that this project is a result of an international collaboration.” according to Bige Örer. The Istanbul Biennial runs from Sept.16 to Nov.12, 2017. For more informations, please click here.